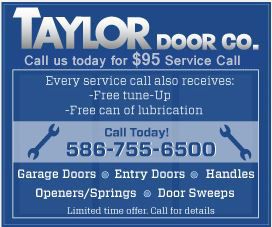 The Myths Of Energy Efficient Garage & Entry Doors | Taylor Door Co.
People are always looking to save money on their energy bills, especially as the winter months make us turn up our thermostats. If you have an attached garage, it may help to get an insulated garage door. Since the garage door opens so often, garages are highly susceptible to temperature fluctuations. Buying an insulated door will help control the change. Here are some myths about exterior door energy efficiency that will help you learn the true saving you’ll get from upgrading. Myth 1 - Upgrading my garage door or entry door won’t save that much energy. Depending on a few variables, such as size, a well insulated garage door can keep a garage 10-20 degrees warmer on a cold winter day. This can really help save you money especially if you have a family room or bedroom that is next to or above a garage. Myth 2: Replacing my door will cost more money than it will save. Reality: Energy efficient garage doors and entry doors are available at a variety of price points. 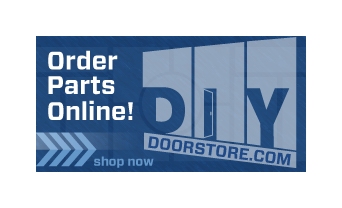 Construction and materials for insulated doors has improved dramatically over the past decade, giving you a door in your budget. The savings on your utility bill will add up over time, more than making up for the one time cost of replacing your door. Myth 3: It’s better to repair my door than to replace it. The repair is less expensive than replacing it and will resolve the problem. Myth 4: My home is only 10 years old. I don’t need to think about replacing my garage doors or entry door yet. Reality: Just because a home is new doesn’t mean that it was built using the most energy efficient doors and windows. Building materials have changed over the past decade. Many energy saving technologies weren’t available back in the early 2000s. If you plan to live in your house long term, it may be beneficial to replace and entry door or garage door.